This one lens meets all your needs ranging from wide angle photos to telephotos, making digital single-lens reflex cameras. We are amongst the most reputed names in the industry, offering Sony Camera Lenses. Our company has been successful in winning appreciation from the clients as one of the most prominent names in the trading of Sony Lenses sony 28-75mm f2.8 sam. A wide-angle fixed focus prime lens offering spectacular 4k image quality, the CN-E24mm T 1.5 L F provides a broader perspective to capture grand vistas or small interiors. Designed for an EF mount, it is compact, lightweight (1.2kg) and easy to use; a f/1.5 maximum aperture allows hand-held shooting in low light. 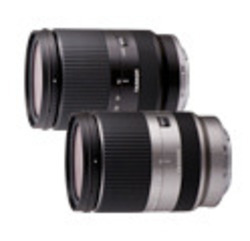 We are engaged in offering Sony Camera Lenses.